Motorola has finally decided to launch its much awaited device the Moto G in India.It is one of the most powerful device to arrive with a mid range price tag. Moto G is powered by a 1.2GHz quad core Snapdragon 400 SoC with Adreno 305 GPU running at 300MHz.The Graphics processor has a computing power of around 19GFLOPS which is 50% faster than the tegra 3 chipset found in Nexus 7.The phone has 1GB of ram out of which 882MB is user available. Due to the powerful hardware the phone can run HD games with ease and supports 1080p playback. the phone features a brilliant 4.5 inch 720p HD display with 326ppi pixel density.the display has vibrant color reproduction,which can be compared to high end phones.the juice is provided by a 2070 mAH Non-removable battery which provides 24 hours of backup or upto 7 hours of continuous video playback. Every thing in the tech world has its disadvantages and Moto G is no exception.The phone has no hardware buttons on the front,which can be annoying if you don't like on screen buttons and can cause difficulty while gaming. the phone features NO SD Card slot,so the storage capacity is limited to 8GB or 16GB internal memory depending upon the model,this can be a deal breaker for many,however, it supports USB-OTG so pen drives can be used to expand the storage. Camera enthusiasts may also stay away from the device as the 5MP camera produces average photos at best,video recording is limited to 720p at 30fps. 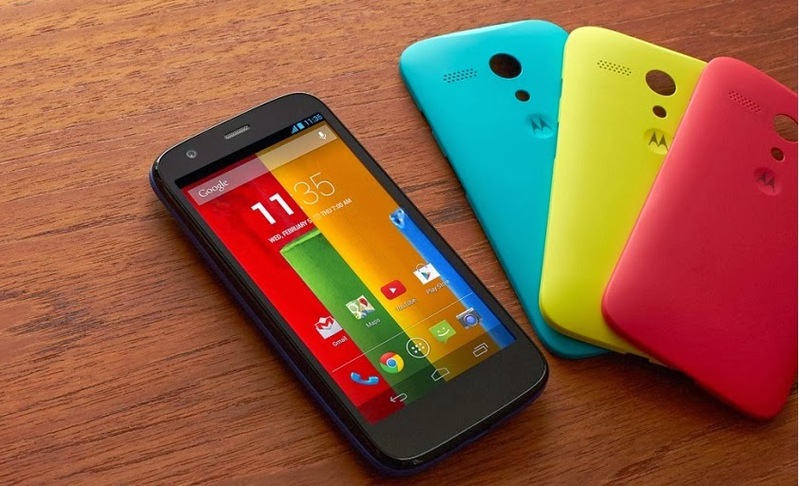 Moto G has already been launched around the world and available at dirt cheap price of 179$ (8GB model) in the US. According to our exclusive sources motorola will launch a dual sim version of the moto G in india on 5th feb with availability within 1 or 2 weeks.The phone will be exclusively available on online retailers like flipkart.Despite high taxes in india the the prices will be at par with the US.the 8GB version will be priced around INR13000 and the 16GB version will cost INR15000. when will it launch in south east asia??? any news on brazil launch? ?